We could not foresee back in the fall of 2013 the success and longevity of this effort. When we officially launched the scholarship support in early 2014, our main focus was and continues to be our effort to honor Anne G. Broady’s life and memory by doing something needed and meaningful for kids. This is a very special day as we officially announce the 6th anniversary of the Anne G. Broady Scholarship Fund (AGBSF) campaign with the goal to raise $1,500.00. Since this first campaign, more than 100 Copey kids have received partial tuition support allowing them to attend the Copey Learning Center to develop English communication skills. This tuition support has had positive results. For example, the “Pathway Project” students who have traveled to America since 2016 have benefitted as AGBSF recipients and many “Friends” have personally witnessed the English skills of these students. Be reminded, the AGBSF does not provide full tuition support because “friends” believe each family “must” also financially invest in their child’s education. And, this is consistent with our belief pertaining to all financial support provided. We are committed to helping those willing to help themselves. We are also launching the annual fundraising campaign to supplement the Executive Director’s salary (EDSS). Our goal is $2,000.00. At the request of the Copey Learning Center’s Board in 2015, “Friends” responded favorably when called upon to help with the addition of the first “paid” staff position, the Executive Director. “Friends” was convinced the future of the Copey Learning Center was in serious jeopardy without competent leadership devoted daily to the growth and success of the Copey Learning Center. To guide these the students, shown below, towards receiving their certifications demonstrating their successful English course completion, this requires strong and consistent leadership. Therefore, since 2015 we have supported the very modest annual salary for the Executive Director. 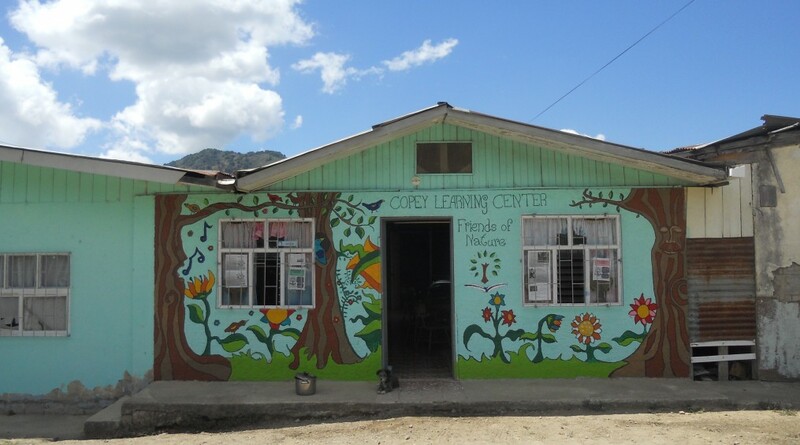 Similar to the AGBSF support, this funding helps keep the Copey Learning Center’s doors open and operating successfully while other communities struggle mostly unsuccessfully trying to do the same. Making Your Donation Is Simple…Really! If you are planning to support either the AGB Scholarship Fund or the Executive Director’s Salary Support or both…the two methods below have served us well and without any complications. The Copey Learning Center’s PayPal can be used to make donations directly. Please access the PayPal system by clicking on….http://copeylearningcenter.org/. Find the PayPal logo in the upper right hand corner of their homepage. To make certain the Copey Learning Center recognizes your donation and how it should be applied, indicate in the comment section that the donation supports the “AGBSF” or the “EDSS”. Please contact me if either method needs further explanation. Sometimes, a “Friend” can make a big difference. ← One Life Breathing Easier…!